Sheyla Gutiérrez (Logroño, 25 years old) debuts with the colors of Movistar in the first edition of the Volta a la Comunitat Valenciana femenino. Sheyla Gutiérrez (Logroño, 25 years old) debuts today with the colors of Movistar in the first edition of the Volta a la Comunitat Valenciana femenino. After seven months without competing after a run over, La Leona or Hippy Lion, as they nicknamed him with affection, returns to roar and has "the nerves and the desire to please a debutante" : "I will try to correspond to the confidence deposited by the squad in me ". La Rioja passed professionals in 2013 with the Lointek. 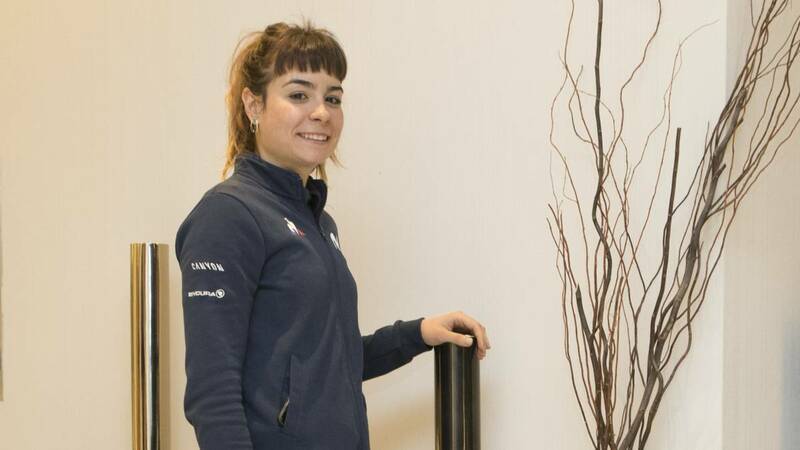 After staying at the US Cylance (2016-2018), Movistar opted for her as a strategic signing for the current season: "I am not weighed down by the Spanish women's cycling leader. If you work as far as you can go and do not press for not reaching what they say or expect from you, things work naturally ". In 2017 exploded with three prestigious triumphs: Le Samyn des Dames, the National Fund and a day in the Giro de mujeres. In 2018 he continued his growth with the generals of two Chinese tests, Zhoushan and Guizhou (plus one stage). "For this campaign I try to face the classic north in my best form. My other personal goal will be to enter the lineup of the Giro, and shine if the opportunities present themselves. " On his return to Spain he feels" at home ", since he has shared equipment with most of the teammates. Regarding the national women's cycling, it considers that a good basis has been established for its definitive takeoff: "There are races, we have more sets, infrastructures and support, and the desire to improve. Many times of the quantity the quality arises. You must bet on us! I encourage everyone to follow us, they will enjoy and they will not regret ".